One of my favorite things to do before bed is washing my face and putting on eye cream. My eye area gets so dry, and the dark circles are more prominent these days, so I really need a good hydrating cream. 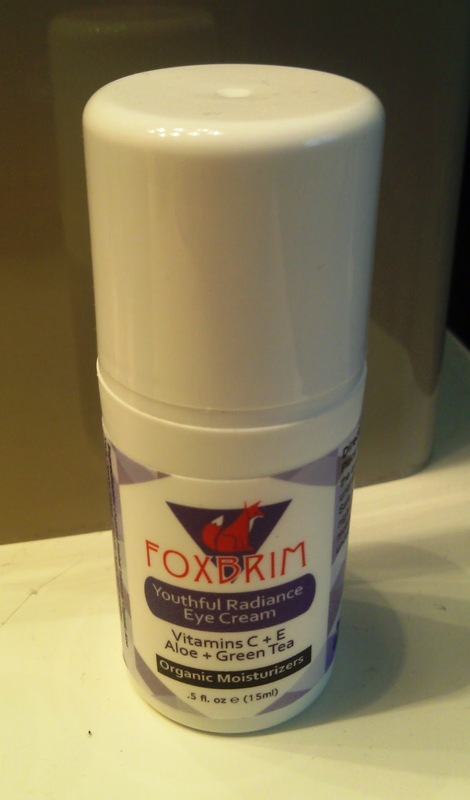 Foxbrim's Youthful Radiance Eye Cream works great to moisturize and nourish the delicate skin around the eye area. It feels so nice and hydrating, and it seems to be helping reduce my dark circles and making fine lines less visible. Another plus is that it's not irritating and hasn't stung my eyes, which sometimes happens to me. It contains natural and organic plant-based ingredients including Aloe, Vitamin C, Vitamin E, Green Tea, and more. These ingredients blend together to create a moisturizing formula that absorbs easily and leaves my eye area feeling soft and smooth.